Have you ever heard of diatomaceous earth? No? Then today is your lucky day. 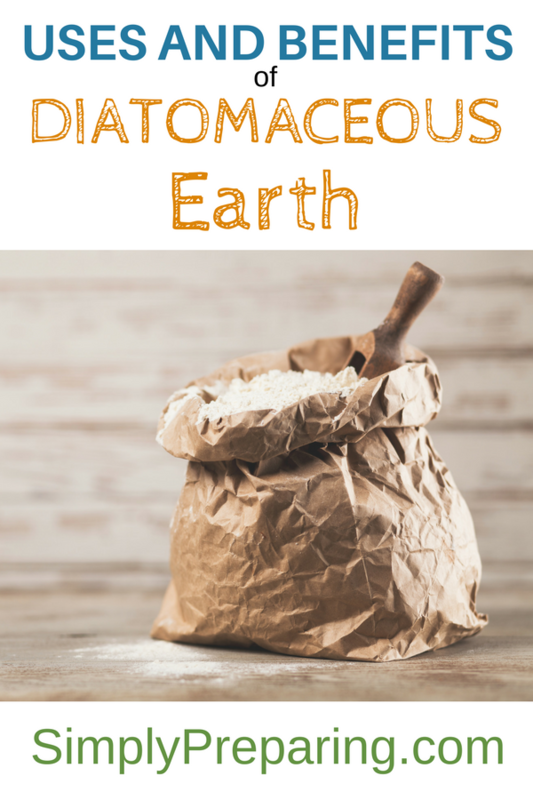 Read on to discover diatomaceous earth uses to benefit your home, garden and family! Diatomaceous earth is special kind of dirt, found in certain deposits around the world. Essentially, diatomaceous earth is a fossil, ground into a very fine powder. This is important! There are two types of DE: food grade and industrial grade. Industrial grade DE is toxic to humans and pets. *this post contains affiliate links Food Grade Diatomaceous Earth is non-toxic, and beneficial in many ways. YOU MUST ONLY BUY AND USE FOOD GRADE DIATOMACEOUS EARTH. Phew. It feels good to get that out. DE is killer on bugs. The DE scrapes their exoskeleton and dries it out, leaving the little suckers dead. So, sprinkle DE around windows and doors to protect from ants and spiders. Diatomaceous earth uses include treating bed bug infestations. Sprinkle DE in your carpet or other areas where you think there may be fleas lurking. Next, rub it in with a broom, and allow it to sit for 4-12 hours before vacuuming up. You’ll want to do this once a week for 4 weeks to make sure you’ve killed both fleas and their eggs that may hatch down the road. Sprinkle DE in your garbage cans for odor control. Because we always seem to get ants around our garbage cans in the summer, we sprinkle DE around our garbage cans too. Add DE to your buckets of bulk grain storage to keep pests and moisture out. You’ll need about 2 cups for every 50 pounds of grain or beans. Use to clean up oil spills, as *this post contains affiliate links Diatomaceous Earth can hold up to TWICE it’s weight in liquid. Afterwards, sweep up the DE and throw it away. Finally, clean with the spot with soapy water. Fill a container (like a spice bottle) with DE, and stick it in your fridge with the holes of the spice bottle open. It will take care of any funky odors! Scour tough stains! Struggling with a tough stain? Sprinkle some diatomaceous earth on the stain, then scrub it in. The extra abrasion will help with the stain, and it rinses away clean. PRO TIP: While DE can be taken internally, you do NOT want to breath a bunch of it in as you are using it. This is a good time to grab one of your face masks and protect your lungs. Hard water stains around your water facets? DE to the rescue! Mix together lemon, vinegar, vegetable oil and DE in a small container. Using a damp cloth, use this paste to scrub the deposits away! Sprinkle a ring around your garden plants for protection against garden pests. But NOTE: DE kills the good guys too. So, it is best to use it only where you have plants that are really struggling from garden pests. Apply DE to compost piles to keep odors and bugs away. PRO TIP: If DE gets wet, it has to then be reapplied. What About Bees And DE? Good question! I’m glad you asked. The best time to use DE in the garden is in the morning, before the bees are out, or late in the evening. Apply DE close to the ground, where bees are less likely to land. Finally, do NOT apply DE to flowering plants where the bees would be landing to pollinate. Pro Tip: ONLY apply DE on non-windy days to avoid it being blown all over the garden, and onto flowering plants. You can use essential oils in the garden for pest control too. 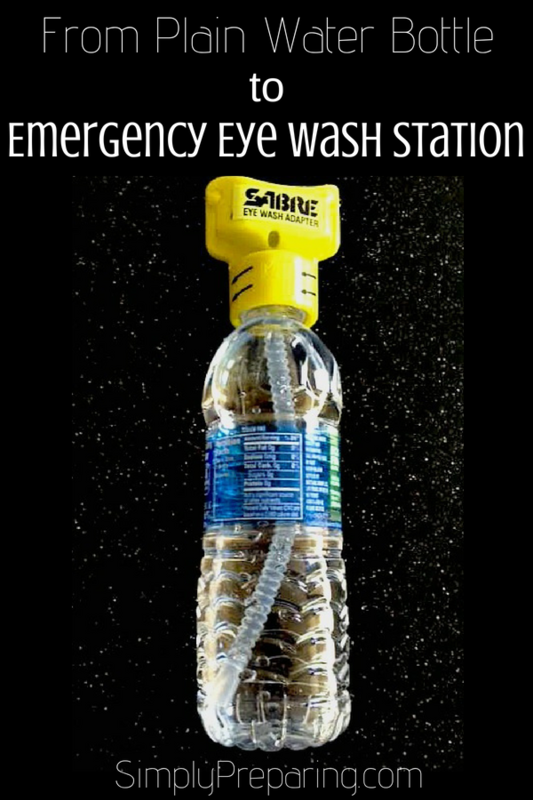 Try our Homemade Garden Bug Spray With Essential Oils. What Is The Easiest Way To Apply DE? I find shaking it on with a *this post contains affiliate links cheese shaker to be the easiest. For small spaces, you could simply fill an old spice container and shake it where it needs to go. For bigger jobs, you’ll want to go with bigger shaker bottles, like these *this post contains affiliate links 32 ounce Clear Plastic Spice Bottle Containers. FOOD GRADE Diatomaceous Earth uses include being taken internally as a detoxification agent and to help with digestion issues. Take about one teaspoon of food-grade diatomaceous earth with water once a day. It’s best used on an empty stomach at least one hour before or two hours after eating. Drink an additional cup of water after each dose of DE to improve its effects. In general, make sure to consume plenty of water with DE and stay hydrated. Pro Tip: Before starting any new health protocols, check with your doctor! We here at Simply Preparing are NOT doctors, nor do we play them on the internet. What are your favorite Diatomaceous Earth uses? I’m loving finding new uses for this ‘wonder dirt’! 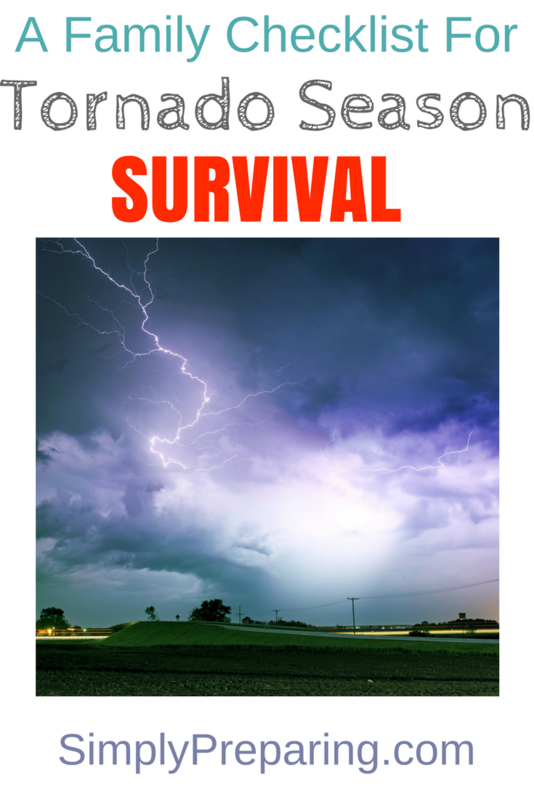 A Tornado survival checklist saves lives. I remember as a kid out on my Uncles ranch and my Aunt yelling at everyone to get to safety cause a tornado was on the way. Safety was a huge cave a quarter of a mile away from where we were. You’ve never seen a bunch of people run so fast. Luckily, the tornado passed us by, but I’ve never forgotten that experience. You don’t have to live in Tornado Alley to prepare for tornadoes, they can happen just about anywhere. 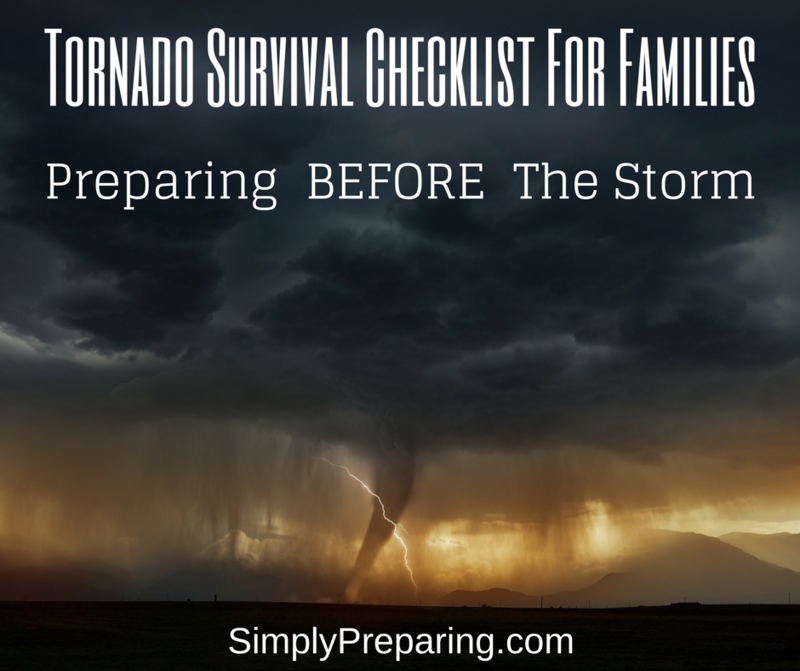 Create a Family Tornado Survival Checklist and practice it. Make sure each family member knows where to go and what to take with them to be safe in case of a tornado. Know where to meet up after the storm. A Tornado Watch means that conditions are right for a tornado to develop. When you hear of a tornado watch, stay close to your weather radio for continued alerts. A Tornado Warning indicates a tornado has been seen in the area or that radar indicates the presence of a tornado. When a tornado warning is issued, seek appropriate shelter immediately. 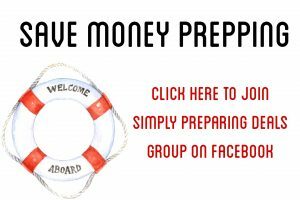 In the US the best way to stay informed about severe weather is with *this post contains affiliate links a NOAA weather radio. Does your community use Tornado Sirens? Learn what they sound like, and when you hear one, get to shelter. An underground shelter or basement is the safest. But if those aren’t available, a small, windowless room or hallway on the lowest level of your home will work. Your goal is to put as many walls between the outside wall and you as possible. 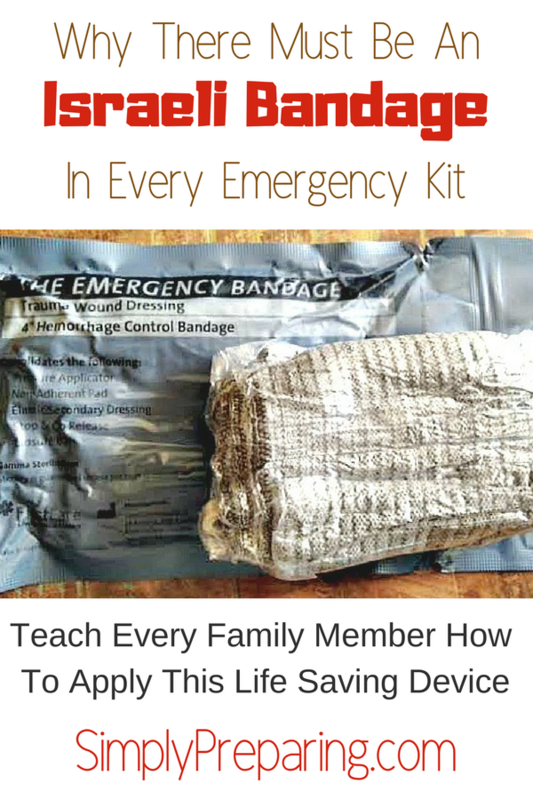 Bring your emergency binder and your 72 hour kits with you into your Safe Place. Remember, your emergency binder should include a laminated card for each family member with a list of all the family members and their contact information. If anyone is alone and injured, first responders will know how to reach the next of kin. You Safe Place should also be stocked with emergency drinking water storage . Finally, make sure you have a *this post contains affiliate links portable battery power bank as to be able to recharge cell phones and stay in contact with loved ones. Consider keeping motorcycle or bicycle helmets on hand to protect from flying debris. Identify where your local shelter is, and how to get to it, if you need to. In most cases it will be a school, community center or city building. Bring your pets with you to your safe place, keeping them crated or on a leash. Don’t forget your pet’s 72 hour kit. PRO TIP: Looking for more ideas on what to stock a Safe Room with? 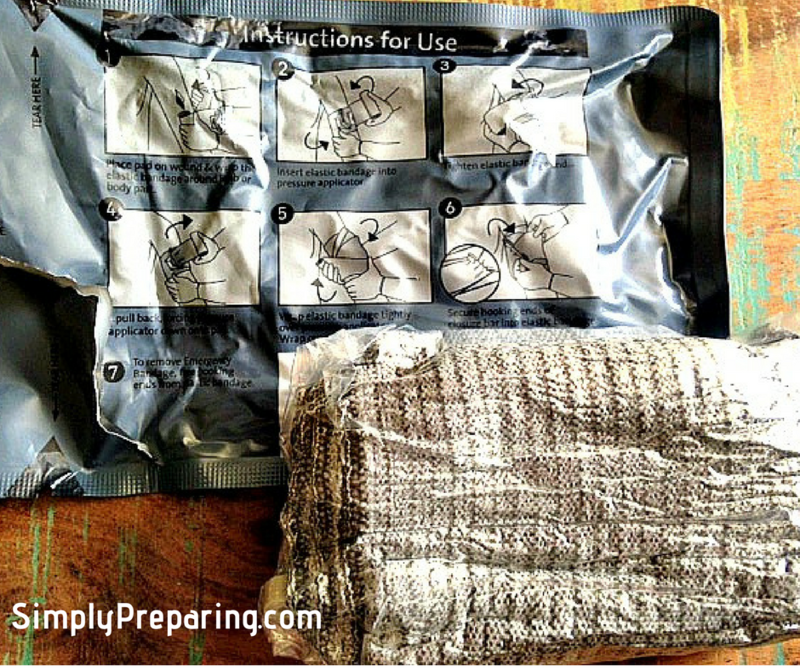 Our post on Prepping for Basic Emergencies can help with that! Do NOT remain in a mobile home during a tornado. Leave and see safer shelter. Please, no arguing here. Seek safety in a basement, shelter or inside a nearby sturdy building. If there is no shelter nearby, see if you can drive to a shelter. If you get caught as you are driving, pull over and park, but don’t turn off the ignition and keep the seat belt buckled. You want the car to be running so that the airbags can still deploy and offer some protection. Make sure to keep your head down below the windows and cover your head with your hands and a blanket. If you are in an open field, get as close to the ground as possible and cover your head. Stay away from overpasses and bridges. Do NOT try to out run the storm. 1. 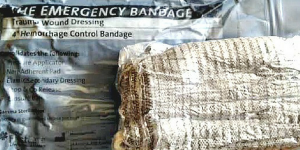 Grab your first aid kit, and deal with any injuries. 2. Shut off utilities. Damage to pipes or switches could cause a fire or explosion. Do NOT use lighters or matches in case of a gas leak. Instead grab a flashlight from your 72 Kit. 3. Inspect your home for damage. If you find structural damage, leave and seek shelter, bringing your 72 Hour Kits with you. PRO TIP: It’s not unusual for municipal water to become contaminated after a natural disaster. 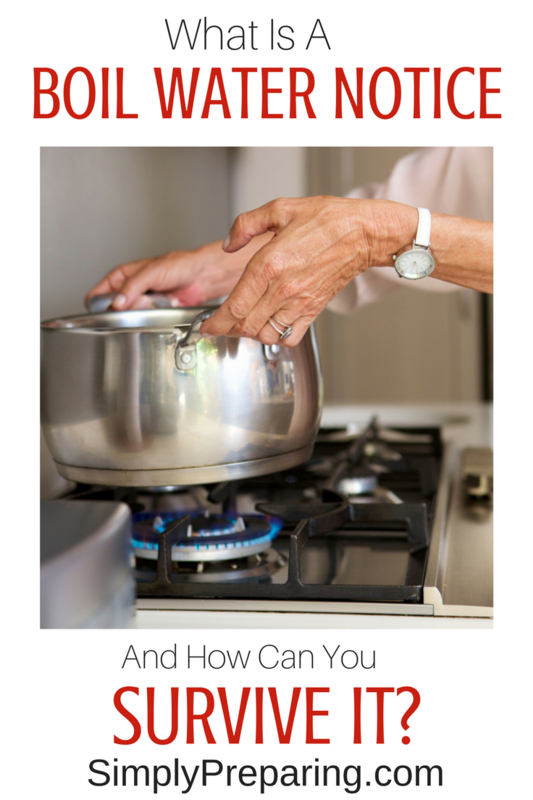 Learn how to Survive A Boil Notice . You don’t have to be blown away when tornadoes strike. A bit of pre-planning will keep your loved ones safe.